Commencing September 2018, Ethiopian Airlines will start a freighter operation from Avinor Oslo Airport with a Boeing 777-200F. The route will be in addition to the five weekly passenger operation to Addis Ababa and connect Oslo with Guangzhou in China. Ethiopian Cargo will with the new route join in on the largest air cargo market in Northern Europe from Norway, which in 2018 is expected to generate over 230.000 tons of Seafood as airfreight. 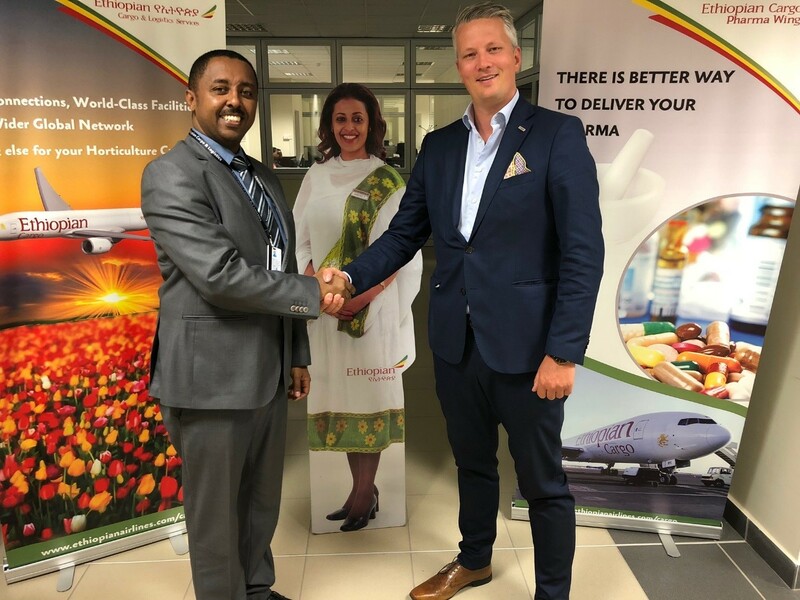 - We are pleased that our partners in Ethiopian Airlines will offer new freight capacity from Oslo airport. This is important for the development of the Norwegian seafood industry and will contribute to employment and economic growth, says Martin Langaas, Director Cargo at Avinor Oslo Airport. - China and Guangzhou is picking up rapidly on seafood imports from Norway. Ethiopian Cargo will with this new route increase the competitiveness of Norwegian Seafood to China. Ethiopian is looking forward to take part in a fast growing market. - We look forward to take part in one of the fastest growing airfreight markets globally, and look forward to offering the Norwegian market new cargo capacity to China. With our new freighter service from Oslo Airport to Guangzhou, our Norwegian customers will experience our quality and expertise in shipping of seafood, which requires cooling throughout the journey to ensure the quality of this perishable commodity, says Mr. Solomon Begashaw, director Global Cargo Sales in Ethiopian Cargo.